Custom made in Florida, NY by Matt Paul of MP Knives. The American Puukko is based on the knife that Matt uses everyday for fishing, hunting and everyday chores. 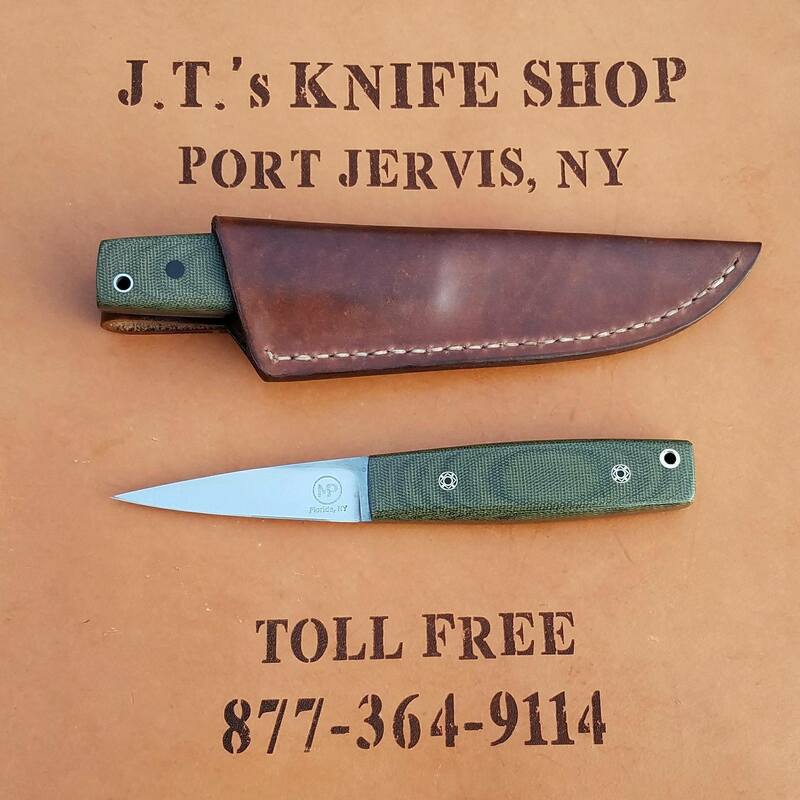 Available in Green or Ivory Micarta.